Sunday Post #13 – Banana Box Madness! Awesome picture up there, right? Those are all the boxes I’ve packed so far at my parents’ place. They’re all coming with me! I’ve also bought a couch yesterday and a lot of Billy bookcases, for my personal library. The boyfriend’s been off from work all week, and working really hard to get everything in the new apartment done. I’ve had my internship and haven’t been able to go there a lot. He’s also there, while I’m getting stuff ready at my parents’ this weekend, so I’m really excited to see how everything went. It’s my dad’s birthday today (another reason I’m here this weekend). Happy birthday dad! Moving in from your folks’ house is exciting! Kind of a new phase in life. Best of luck on the job! I’ve moved out a while back, but this time I’ll finally be moving into an apartment big enough that i can bring all of my stuff. Also, I’ll finally be living together with my boyfriend and that’s quite exciting as well. Banana boxes are the best! They’re so study and not too big, so they’re not too heavy when filled work books. I’ve seen some awesome pictures from my boyfriend so far. Tomorrow I’ll see it with my own eyes! I’m so excited! That’s so funny that even across the world, there are Billy Bookcases. I mean I know IKEA is Swedish, but it’s still kinda funny that you can mention it and I know what you mean. I hope you hear something about the job soon. They’re just such a staple! I love the simpleness of them! It really makes the books the center piece. 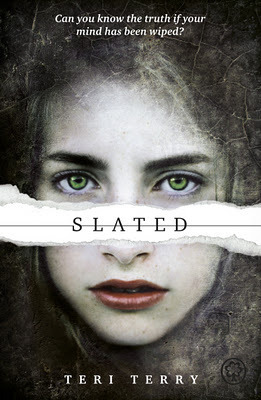 I read Slated a year or two a go, and liked it. The next two took the story in some interesting ways. I hope you enjoyed it as well. I quite enjoyed the first book. I haven’t been able to get to next yet, but hopefully soon! Moving is getting pretty close now, right? Yeay for billy bookcases. Can’t wait to see how it will look! Yes! I’ve got everything packed. My parents will bring it in a truck in two weeks. Right now we (the boyfriend, because i have my internship and he has holidays) are very busy renovating. So far, it’s going really well!